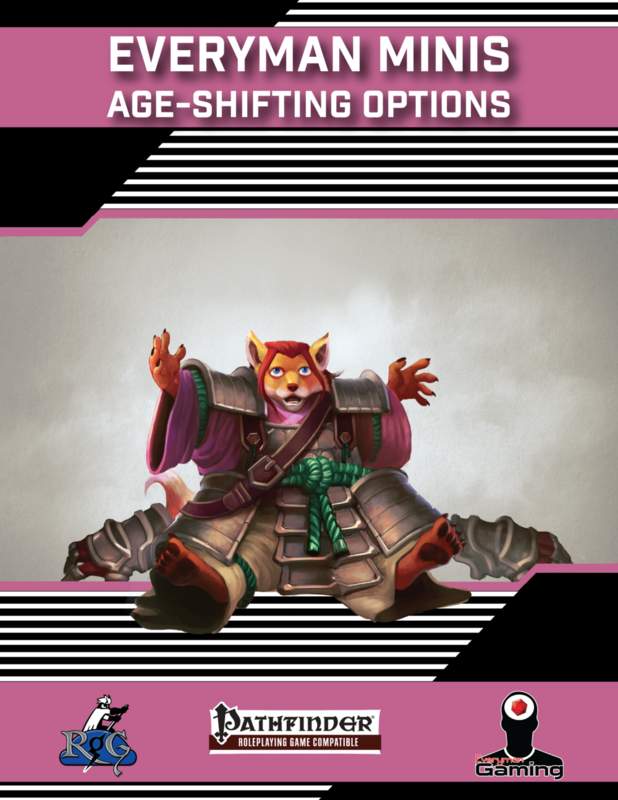 This installment of Everyman Minis includes: 1,000 words introducing all-new player options that allow characters to alter or adjust their opponent’s age. This includes a new shifter archetype, the agemorph, and a new kineticist archetype, the geronkineticist. Also included are eight agemorph aspects, two geronkineticist infusions, and two new hexes for witch and shaman characters.